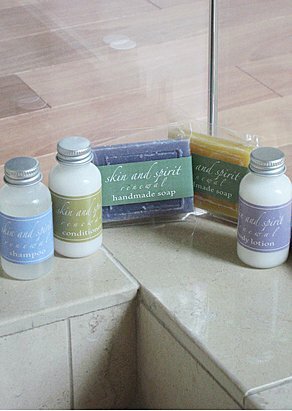 Have a luxury spa experience without leaving your home! 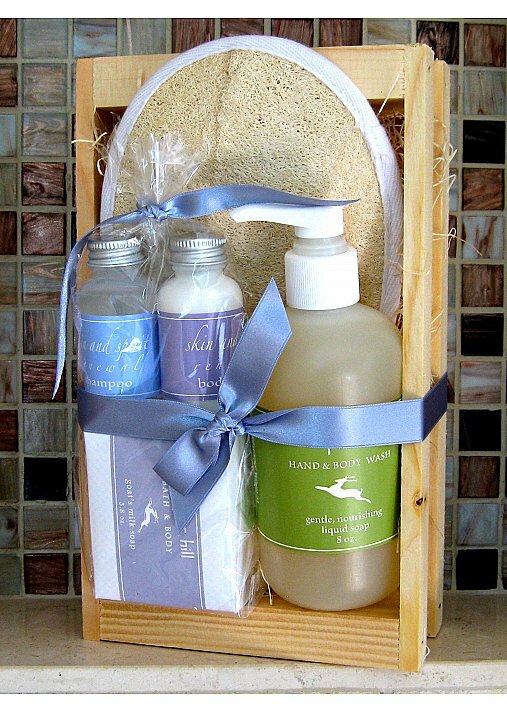 Start with our Soul Reviver spa kit: a generous loofa terry sponge with a bottle of Lemon Verbena body wash to exfoliate and clean; a creamy bar of hand-made goat's milk; Lavender-Litsea soap to wash and moisturize your face; a small bottle of Rosemary Lime body lotion to make your skin as smooth as silk; and let's not forget your head - some Rosemary Lime Shampoo! 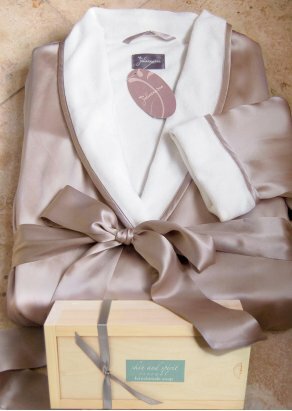 Then wrap yourself in our Il Cieli Spa Robe, a fully reversible robe with the finest silk on one side and the softest mini-terry on the other. 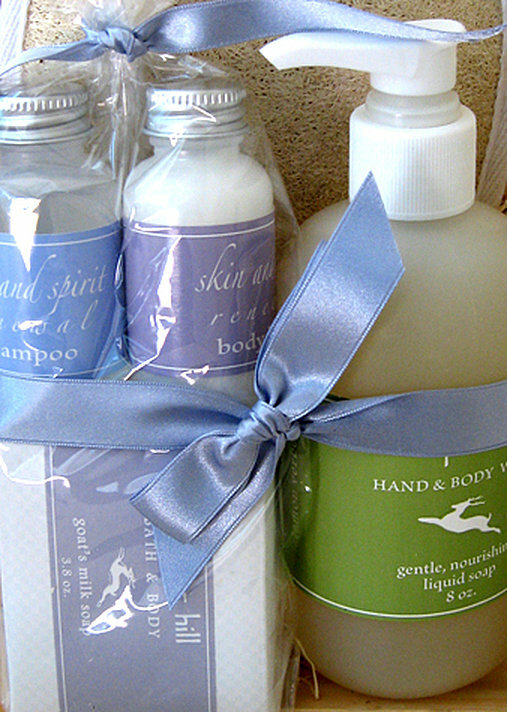 Pure luxury and fabulous pampering are yours. Care: Hand wash. Mild detergent. Warm water. Dry flat. Or dry clean.